We're always attracted to pretty stores with prettier things inside, while we stroll through different lanes in the city. And on one such evening, when we stumbled upon Dimensions in the bylanes of Gamdevi, our happiness knew no bounds. 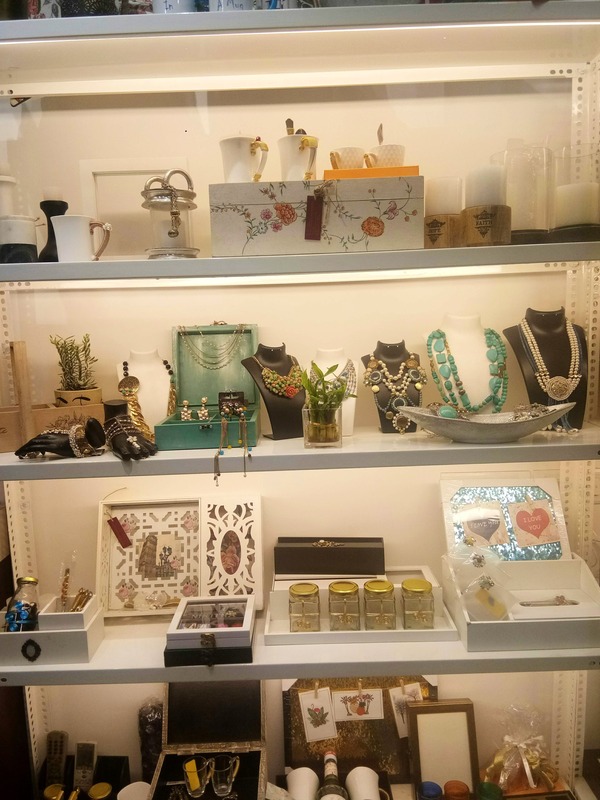 From beaded and imitation jewelry that's self designed by talented craftsmen, to spoons where you can get your own name or your friend's name engraved, to a lot of pretty home decor options, the store has it all. They have bottles, trays, cup sets and glasses in the home collection. They have royal gift boxes that you can use during weddings, and they also have corporate gift boxes. Apart from these, there are handcrafted jewelry boxes in Minakari work, paper material packaging boxes for gifts, and much more. The range of all gifting items is between INR 250 and INR 3,000. On special request, they make boho shrugs for you, which have a fine Kashmiri print on them too, and they're for INR 2,500. So if you're looking for gifting options, home decor, gifting boxes, or those pretty shrugs, Dimensions needs to be bookmarked. Happy shopping to you.